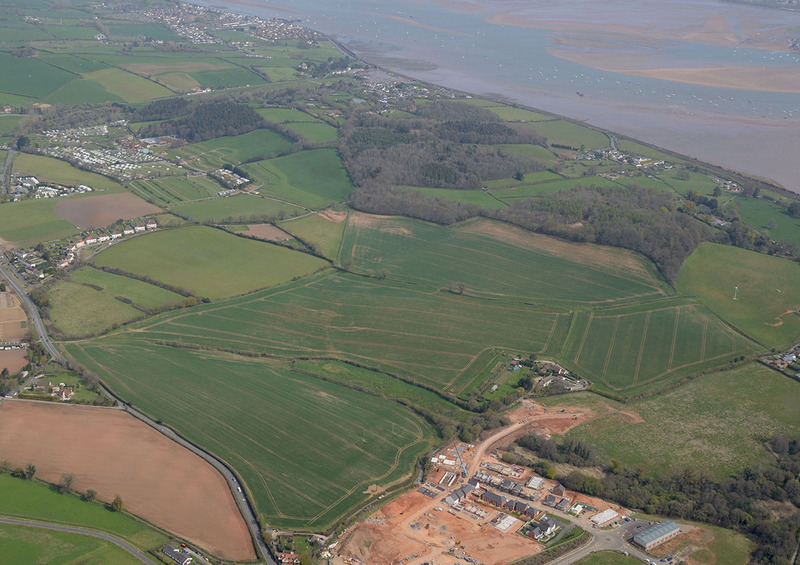 Teignbridge residents will soon be able to enjoy a vast, new 65-acre countryside park – about the same size as 26 rugby pitches – at Dawlish. Teignbridge District Council will celebrate the opening of the new Dawlish Countryside Park on the outskirts of Dawlish near Sainsbury’s, on Sunday 3rd September by putting on a free event for the whole community. “A Family Day Where Dogs Can Play!” will be a fun-packed day for all ages to enjoy, whether or not you have a dog to bring with you. The Countryside Park has been funded by the South East Devon Habitat Regulations Executive Committee (SEDHREC), a partnership of Teignbridge, Exeter and East Devon Councils set up to help protect key conservation sites at Dawlish Warren, the Exe Estuary and East Devon’s Pebblebed Heaths. The 26.4 hectare site was purchased with money from developers of new housing across the three council areas. Local excitement for this brand new green space for residents, visitors and dogs to enjoy has been steadily growing over recent weeks. There will be an official ribbon cutting ceremony at the Countryside Park at 11am by Teignbridge’s Executive Member for Housing and Planning Cllr Humphrey Clemens, marking the start of the day which goes on until 3pm. Teignbridge Countryside Rangers are planning a whole host of activities for the entire family to experience, including exploring the new Countryside Park through a series of walking routes, from a 2.3km network to longer walking routes of 5km or so. You will be able to see the panoramic views from the Ridge Path, visit the Lookout, go on a mini-beast safari, and learn about the ancient history of the Park, with archaeological finds on display! “It’s a very exciting day for Teignbridge and our residents. It’s the culmination of years of hard work and we’re thrilled to celebrate the opening of this beautiful area of countryside, by holding a free event for the local community and dogs to enjoy. “The creation of a new natural recreational area and haven for wildlife in Teignbridge is a real boost for Dawlish and the whole district. “There have been archaeological finds on the site, including pottery, Georgian coins and prehistoric worked flints which are currently being dated. They will be on show on the day so people can find out about the history of the area. “I would like to thank everyone who has been involved in the planning, preparation and opening of this wonderful green space, available for local people and visitors to enjoy for many years to come. The new countryside park will be public open space with wild countryside and walks, available to all. It will be home to native species including wildflower grassland, scrub and woodland, and native wildlife, such as cirl buntings. Access to the free car parking on site is from a new road off the Exeter Road (A379) on the edge of Dawlish. In addition, there are pedestrian access gates from Shutterton Lane and Orchard Lane. Last year, on Thursday 24th November 2016, Teignbridge Planning Committee approved plans for the creation of a new Countryside Park in Dawlish.